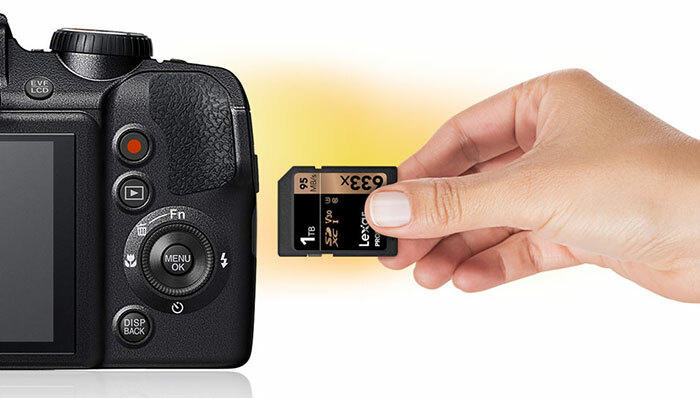 Lexar launched a new SD card at the CES 2019. Fifteen years after Lexar broke boundaries with its 1GB SD card, the firm has now proudly announced the launch and availability of its first 1TB model. The new Lexar Professional 633x SDXC UHS-I card, to give it its full title, is aimed at users of mid-range DSLR, HD camcorder, or 3D cameras capturing up to 4K video. Beyond the capacity headline, the new SD card delivers high speed performance and is claimed to be highly reliable (limited lifetime warranty). "As consumers continue to demand greater storage for their cameras, the combination of high-speed performance with a 1TB option now offers a solution for content creators who shoot large volumes of high-resolution images and 4K video," said Joey Lopez, Senior Marketing Manager at Lexar. With this top-capacity card, the read speeds of 95MB/s might not sound impressive, and that is why it is targeted at mid-range device users. You will see that it is a UHS-I card which offers 104MB/s at best. UHS-II technology is faster, boasting speeds up to 300MB/s but Lexar hasn't reached 1TB capacities in this format as yet. Looking at the write speed performance of the Lexar Professional 633x SDXC UHS-I card, it can write at up to 70MB/s, according to Lexar's official product page. That is significantly faster than any lower capacity model in this SD card range. 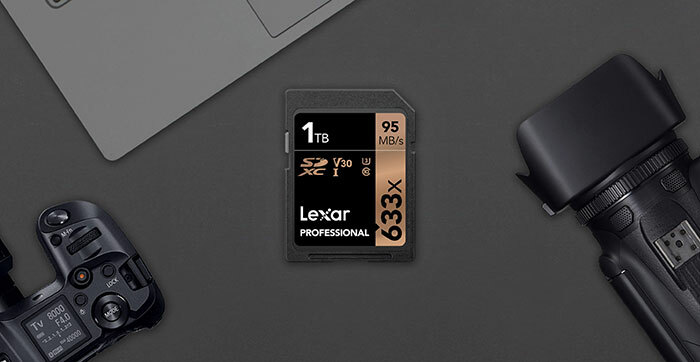 Lexar says its new 1TB SD card is available immediately at US$499.99. In 2003 I paid £175 for 1GB card, and now 1TB is available for $499 and could be $250 in two years time, so very good progress. i thought lexar were dead? I think the brand name was sold on - but I can’t remember who to.